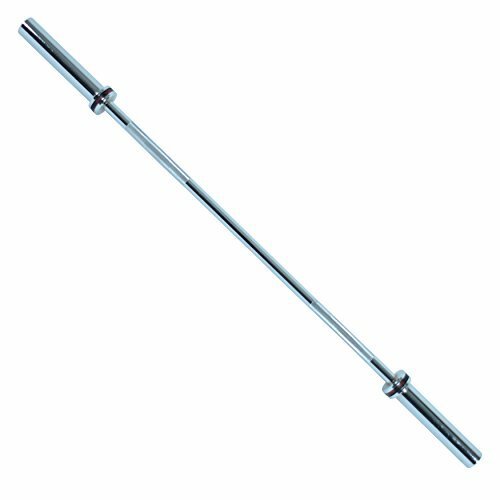 Increase strength and power up with the OB60 Olympic Bar. This bar is excellent as a technique bar (weighs in at 26 lbs. ), or to use as a space saving bench press bar. This bar has all the essentials of its big brother, such as diamond knurled grips, 10” loadable sleeves, and smooth rotating sleeves. The bar has a maximum weight capacity of 300 lbs and accommodates Olympic weight plates with 2-inch center holes. Strength is not just given out; it’s earned with hard work with the right equipment!